You might like your home just the way it is when you first move in, but eventually, you will probably want to make changes. Some of those changes might be functional while others are more aesthetic. When the time comes for Oak Park, CA replacement windows, you will notice quite a few changes in your home. The windows can change the house both inside and out. Here are a few changes your home will go through when you get new windows. It’s hard to be comfortable in your house if you have constant drafts in every room. Some rooms might be cold while the others are hot and that’s not comfortable, either. When you have replacement windows, all of the rooms will feel nice and even—at a comfortable temperature. New windows stop drafts from moving in and out of your house, which helps you to maintain the comfort you want in every room. When you get new windows, they’re going to cost money upfront. But the best part about the installation process is that after it’s complete, you automatically start saving money. Your budget will be under control once again because your energy bills will start to decline. You’ve probably been paying a lot more for your energy bills than you should have because you were wasting energy through leaky windows. Once that stops, the bills go down and you can get your budget under control once again. Looking at your home now, what does it need? You might have a long list of things you want to do to your house. But once you get replacement windows, you may be able to cross a few other items off as well. 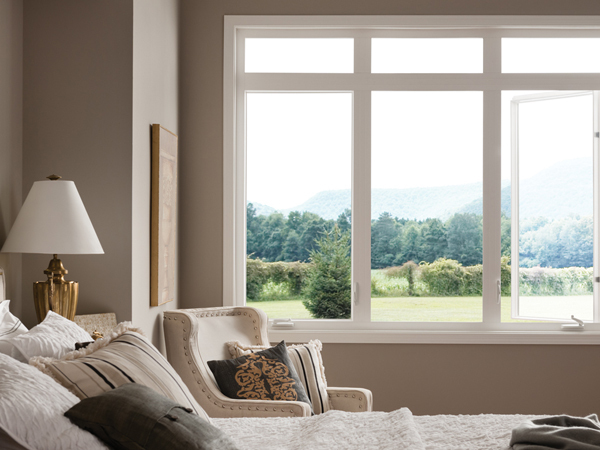 Replacement windows look so nice they can give your home a new, fresh look—both inside and out. Choose the right color and your home will look like brand new. It might seem like your home only has stuffy air in it because most of the windows are stuck or warped shut. You can’t get ventilation even on the nicest day. 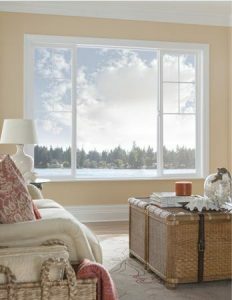 When you get replacement windows, you can have fresh air any time you want and in any room of the house. That’s enough to put a spring in anyone’s step the next time a nice day rolls around. Getting new windows can change the whole house from top to bottom. 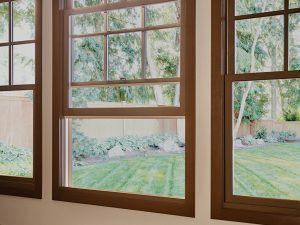 Once you have your replacement windows installed in Oak Park, CA, you’ll start noticing differences right away. Maybe they’ll start with the appearance, but they’ll run all the way through the utility bills. To look into details today, call Quality Windows & Doors for a free consultation. We’ll give you all the information you need to make the right decisions for your home. Call us at (805) 984-5895 or stop by the showroom to talk to us in person. We’re located at 1430 S Oxnard Blvd, Oxnard, CA 93030 and we’re here to help. This entry was posted in Replacement Windows and tagged Oak Park CA replacement windows, replacement windows on December 3, 2018 by superowner. If you have older windows, they might even be single pane glass. That really does very little to block the outside air from coming in. Today, double pane glass is standard and there’s always a layer of air between the panes as well. You can also add another pane of glass to the window’s glass pack for triple pane glass. There’s also two layers of air between those three panes of glass, all of which adds efficiency to your home. When you have double or triple pane glass, it’s standard to put air between the panes. It insulates well, but there are inert gas options that insulate even better. Argon gas is found in the atmosphere and very easy to grab and put between the window panes. It’s denser than air and insulates better. While it costs more than air fillings, it is less expensive than the other option, which is krypton gas. Krypton gas has to be manufactured and while it is the most efficient option of the three, it is also the most expensive. Glass panes are larger now than they were in the past because technology has allowed frames to be smaller than they were in the past. While that allows in more natural light, it’s hard to keep the heat out with large windows. With low-E coatings, you don’t have to worry about the heat. These invisible, metallic coatings block out the heat and the UV rays so you can get the natural light you want without increasing the heat in your home. You also don’t have to worry about fading furniture or flooring. If you want nothing but the best, look for energy efficient replacement windows in Buellton, CA. Any quality window will give you further energy efficiency in your home, but if you add some of these upgrades, you can get even more. When you’re ready to look into the details, contact Quality Windows & Doors by calling (805) 984-5895. We can answer your questions about the different details and figure out which you want to add to the standard windows. You can also stop by and look at window labels and details in person by stopping by 1430 S Oxnard Blvd, Oxnard, CA 93030. We’re here to help you get the most efficiency possible for your home. This entry was posted in Replacement Windows and tagged replacement windows, replacement windows in Buellton CA on November 19, 2018 by superowner. If your home has its original windows and they happen to be wood, it might be time for Thousand Oaks, CA replacement windows. You need to protect your home as it ages and one way to do that is with maintenance projects and higher end projects like home improvements. Just because you have wood windows now doesn’t mean you can’t change to a new type, including vinyl. 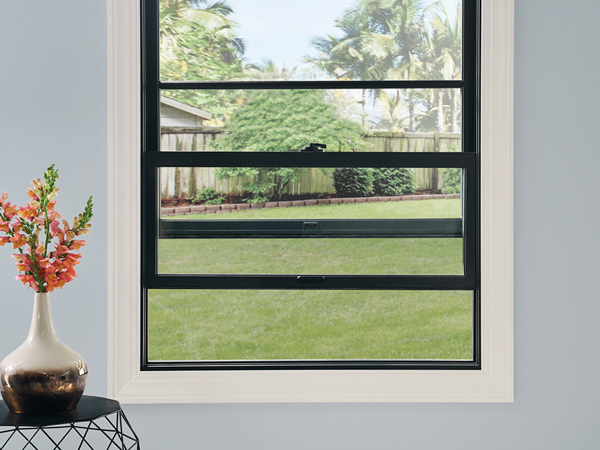 Vinyl windows are a great option for any home and here are a few reasons to consider replacing old wood windows with vinyl replacement windows. It’s true that wood windows are efficient, but older wood windows…not so much. Older windows generally have single pane glass, which is a huge energy efficiency sap. You need to have at least double pane glass and triple pane is even better at insulating your home. Wood is a great insulator, but if it’s not maintained perfectly over time, it can start to leak air. Wood can also warp, crack, and have other issues that allows air in and out of the home. Energy leaks out and your bills suffer. 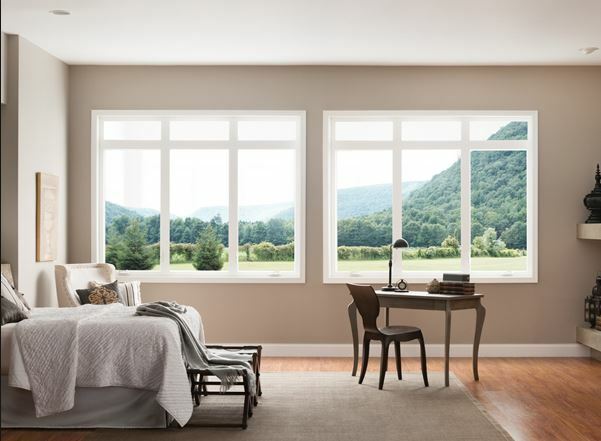 To get better energy efficiency both now and for the long haul, vinyl replacement windows are in your best interest. If you have noticed that air and water is getting in through your wood windows, that’s the most obvious reason to replace them. Water can get into your home and cause damage, but it can also get between your walls and cause issues that you don’t see at first. The last thing you want is mold growing between your walls. If you see leaks, get replacement windows and get rid of the old wood models. Wood is beautiful, there’s no way around that, but if you’re tired of painting and scraping the windows every few years just to make them look decent, vinyl replacement windows are a huge difference. You don’t have to worry about any maintenance at all and you can get a great color to match your home style right away. Windows are meant to open and close and if your wood windows don’t do that any longer, they need to be replaced. Wood can warp and change over the years or maybe you painted the windows shut. Either way, it’s a safety hazard and it prevents you from getting the ventilation you need, too. If you see one or more reasons for replacing your wood windows with Thousand Oaks, CA replacement windows made out of vinyl that fit your needs, contact Quality Windows & Doors for more information on new windows. Give us a call at (805) 984-5895 for a free consultation. This consultation is just a fact-finding mission, nothing more. You have no obligations to us. We just want to help you get the information you need. Stop by and see vinyl replacement windows in our showroom at 1430 S Oxnard Blvd, Oxnard, CA 93030 for even more details. This entry was posted in Replacement Windows and tagged replacement windows, Thousand Oaks CA replacement windows on November 5, 2018 by superowner. Windows are a big feature in any home. While any window company will have ideas on what you should do with Malibu, CA replacement windows, you know your house better than anyone else and you’re the only one who knows what you want. Here are a few things to think over if you are in the market for replacement windows before you jump on the project and make mistakes right away. 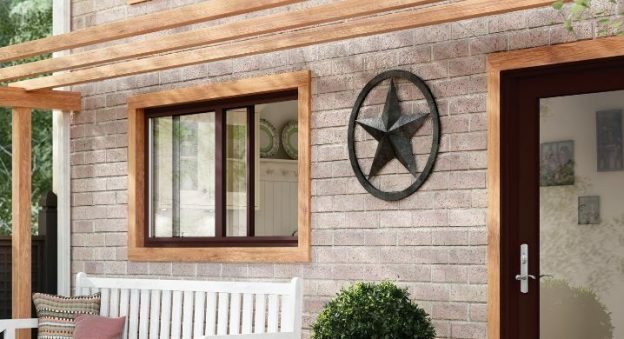 If you have a certain window style in your home now, replacement window projects give you the chance to change that style in any way you want. Before you simply get the same thing you had before, only newer, consider a change in style. You don’t have to have the same window style in every room and there might be certain rooms that call for a different style for functional reasons. 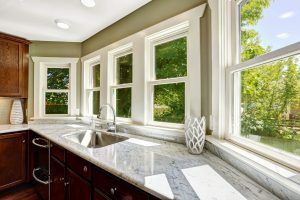 The window over the kitchen sink, for example, might be better as a casement window so you can most easily open it with the hand crank over the sink. When you get replacement windows, you also have the option of putting in new windows or changing the window placement you have now. You don’t want to shift a window a few inches one way or another because it gets expensive, but you could take a bank of windows and turn them into one big picture window instead. Think about easy changes you could make and look at each room with care before you make placement decisions. There might be areas that are begging for new windows and you may want to go to the trouble of adding them while you get replacement windows. You can get different glass for different windows as well and you might want to determine that based on the way your home faces. Certain sides of your home might get the hot, afternoon sun and they will need windows that can reduce solar heat gain. Other areas might be faced in a way that you want as much natural light as possible so the visible transmittance ratings will be important there. Decide on the glass packs with the way your home faces in mind. There might be a lot of things you want in your new windows, but if they aren’t’ efficient, you won’t be happy with them. Make energy efficiency a priority and you’re much more likely to enjoy the results on the other side of the project. Who doesn’t like further comfort in their home along with lower energy bills? Looking for Malibu, CA replacement windowscan bring a lot of ideas to the surface, but in the end, it’s your home and your decision. 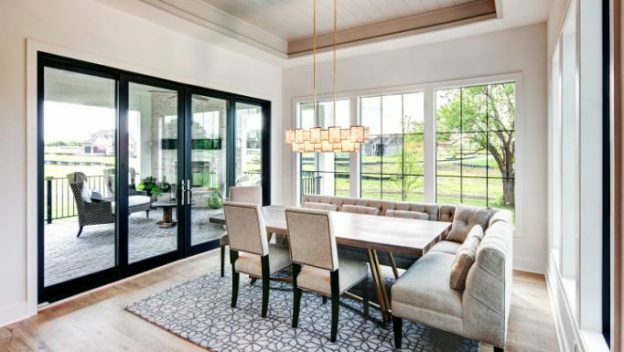 The professionals at Quality Windows & Doors want to help you make the choices that will make your home more comfortable and functional after the project is complete. Give us a call at (805) 984-5895 or stop by for a visit at 1430 S Oxnard Blvd, Oxnard, CA 93030. This entry was posted in Replacement Windows and tagged Malibu CA replacement windows, replacement windows on October 22, 2018 by superowner. National companies have amazing TV commercials that make it tempting to call them first, but should you pick up the phone or search around a little? What about the local companies that have Simi Valley, CA replacement windows? Aren’t they a good bet as well? There are actually a lot of benefits to working with a local replacement window company. Here are a few to consider. Local window companies know Simi Valley and they can recommend the right window for your climate, the style in the area, and your home. They will also respect your budget and won’t push you toward the manufacturer that happens to have a sale going on like a larger company might. You’ll be working with someone who is basically your neighbor and wants what’s best for you and your home for the future. Of course you want to get what your home needs and you’re willing to invest in your house to get it. But isn’t it nice to think about keeping your money local instead of sending it out somewhere else? You like to support local businesses and pay the installers who live in your area as well. They then take their money and spend it locally as well. National companies will send the money who knows where and your community won’t see it again. If you have a problem with your windows or the installation process, you might not be able to get ahold of a national representative any time soon. They aren’t always in the area and once your windows are in, that’s it for them. But a local window company is right there in your area. You can pop in and visit them any time and schedule repairs fast and easy. You don’t want to have to get repairs later, but if it happens, it’s good to know you have somewhere to go with ease. Working with a local company means you’ll get to talk to people in person and not just over the phone. They’ll have a showroom you can visit to look at various style and types of windows and their representatives will have the time to go over your questions and point out differences in replacement windows. With national companies, you never know what kind of service you’ll get, but it likely won’t be as personalized. If you’re ready for Simi Valley, CA replacement windows, going with a local window company is your best bet for quality service. You’ll get what you need and you’ll have the information you want to give you peace of mind about the purchase. Contact Quality Windows & Doors by calling (805) 984-5895 or visiting us at 1430 S Oxnard Blvd, Oxnard, CA 93030. We’re here for you and we won’t disappear once your windows are installed. We want to customize your experience in every way and we’ll remain in place to help you later on as well. This entry was posted in Replacement Windows and tagged replacement windows, Simi Valley CA replacement windows on October 15, 2018 by superowner. New Construction Or Replacement Windows? If you have heard about new construction windows as well as Newbury Park, CA replacement windows, you might wonder which is which and what is best for your home. Both types of windows come in many different styles and with a variety of features. They do, however, serve a different purpose overall. Which do you need for your situation? Take a look at these four applications. If they fit your needs, you’ll want new construction windows. Every other instance calls for replacement windows. If you’re building a new home, it makes sense that you’ll get new construction windows. New construction homes call for new construction windows. It’s as simple as that. New construction windows are generally less expensive but can have the same energy ratings and styles and replacement windows. If you’ve always wanted an office or you need another bedroom on your current home, adding on can be a fun, successful project. Because an addition is a new construction, you will get new construction windows for it as well. This is a cost-effective solution that makes sense, but there are exceptions. For example, if you already have a space and are just adding a window, you would them go with a replacement window. If you have an older home that’s been through a lot, you might need a new construction window instead of a replacement window. Water damage or cracked foundations could be causes for new construction windows. The wall area might have to be re-built where the window goes in and that means a new construction window will work as the better option. Replacement windows are great to help you avoid replacing the siding material on your home when you need new windows. However, if you’re replacing the siding anyway, you can get new construction windows instead to save money. New construction windows and replacement windows are very similar. The only real difference lies in the nailing fin, which is attached to the window frame before the siding. Replacement windows are measured to fit inside the frame that already exists. That’s why replacement windows are almost always customized. They can be made to fit any existing hole. Replacement windows are slightly more expensive because of that and because of the installation costs that go into removing old windows and placing new ones. If you want to know more about Newbury Park, CA replacement windows, contact the experts at Quality Windows & Doors by calling (805) 984-5895. We can talk through your situation and give you a better idea as to whether replacement windows or new construction windows are the right option for your specific needs. You can also stop by and look through the window choices in our showroom at 1430 S Oxnard Blvd, Oxnard, CA 93030. We’d love to show you around and describe what we have to offer. This entry was posted in Replacement Windows and tagged Newbury Park CA replacement windows, replacement windows on October 8, 2018 by superowner. If your home needs new Santa Ynez, CA replacement windows, you’ve made one big decision already. Before you move forward with the project, you next have to choose a window contractor to help you with the process. You need just the right company on the job, so you can ensure you get quality windows and the right workmanship upon installation. Windows are an investment and you need your money to go into your house with confidence that you will get what you want from the windows in the long run. Here are just a few of the questions you need your possible window contractors to answer. You might think this is an almost offensive question to ask, but it is also something you want to know for certain one way or the other. Window contractors that have licenses won’t be offended and will be willing to prove that they are licensed. Rule out anyone that doesn’t have a license as they don’t take the trade seriously and may not do a good job for you. Anyone with a license should also have insurance, but it never hurts to be extra careful, cover your bases, and ask. You want someone with good business insurance and proof of that insurance, so you can verify they are covered if anything happens to them or your property when they are working on installing your new windows. How Much Installation Experience Does the Company Have? If a window company has been selling windows for years, that’s great. You can trust that they know the different types of windows the industry has to offer. But have they also been installing those windows for decades or is that a new addition to their services? You want a company that has experience with window installation and, most importantly, installation with the type of window you are looking to purchase. Any reputable window contractor will be able to provide you with past customers you can call and ask questions about their services. Your Santa Ynez, CA window project is important to your home and it never hurts to be extra cautious about who you hire. You can contact the past customers about their experiences and you might even be able to drive by some houses to check out how the windows look installed today. You will likely have plenty of other questions for any window contractor you consider for Santa Ynez, CA replacement window installaion, but if they pass the questions above, they are on to the next level on your list and they might be worth your time and effort. If you are ready to move forward with a quality, reputable company, contact Quality Windows & Doors. We believe in quality so much that we put the word right in our company name. Call us at (805) 984-5895 for a free consultation or stop by and see our selections at 1430 S Oxnard Blvd, Oxnard, CA 93030. This entry was posted in Replacement Windows and tagged replacement windows, Santa Ynez CA replacement windows, windows on October 1, 2018 by superowner. Allergies are miserable, and the symptoms get worse during certain times of the year. Many people who suffer from allergies find that taking refuge in their home is the only way to find any relief. But even at home, the allergies can rage at times. If you aren’t getting the relief you need or used to get at home, Goleta, CA replacement windows could help. It seems strange that there’s a correlation between your windows and your allergies, but there certainly is. Here are some facts to help you see the advantages of new windows. If your old windows have drafts and air leaks coming in and out, you’d better believe there are allergens floating in with that air. The biggest advantage to new windows is that they’ll seal your house up and keep that allergen-laden air out. You can run your air and keep things clean inside, so the allergy attacks and symptoms aren’t nearly as bad as they used to be. Your home will finally be the relief haven you’ve always needed it to be. Allergens are small, right? And wood windows have rough spots and plenty of places for those little tiny miniscule things to hide. If you have wood windows now, there might be allergens (even like dust) hiding in them that irritate your symptoms. If you get replacement windows, however, and you go with vinyl, you’re left with a smooth material that is easy to wipe down and clean. There’s nowhere for the allergens to hide and it’s easier to keep the house clean and more sanitary overall. It’s great to know that you’re moving into a home that will have reasonable energy bills because of the vinyl windows. There are enough expenses that go along with moving without worrying about what the energy bills will be like once you’re settled. Not only that, but you will have comfort and efficiency in the home because of their windows. When you’re tired and hot from moving, take refuge in the cool air within the house—draft free. If you have bad allergies, first of all, we sympathize with you. It’s miserable and you deserve to have a home where you can find some relief. Goleta, CA replacement windows can help you with that and the professionals at Quality Windows & Doors are happy to help you with the process. Give us a call at (805) 984-5895 for a free consultation and be sure to mention your allergies so we will pay special attention to features that can help you even further. Vinyl windows are a great option and you’re welcome to come by and see examples in our showroom at 1430 S Oxnard Blvd, Oxnard, CA 93030. 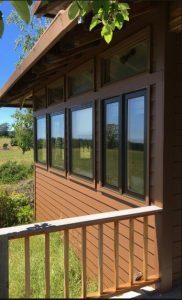 We can go over even more advantages of vinyl windows, so you know just what to expect once they are installed onto your home. This entry was posted in Replacement Windows and tagged Goleta CA replacement windows, replacement windows, windows on September 3, 2018 by superowner. Operable windows are meant to be opened and if you can’t open your windows for one reason or another, the ventilation in your home suffers. Thousand Oaks, CA replacement windows can help you get fresh air into your home again and when you decide to get new windows, keep ventilation in mind so you can get the air moving after the installation. Once you decide to get replacement windows, you can also decide to make changes. That might mean putting in a few extra windows where there weren’t windows before. Maybe you have a bathroom that needs some ventilation or there’s an area of your kitchen that always seems stuffy. Additional windows are a great way to add fresh air to a home. Any operable window can give you ventilation, but there are some that work better than others for even more fresh air. If you currently have double hung windows, for example, you might consider casement windows instead. Casement windows fully open from top to bottom whenever you crank them out. That allows more air into your home and can even get good cross ventilation going in your home when you open more than one. Older windows can be difficult as the years go by. Perhaps you or someone else painted a few of them shut and they’ve been impossible to open ever since. Maybe some of the hardware has gone bad or perhaps there are windows that are so hard to open, you just don’t even try anymore. Getting replacement windows can take care of all that and give you the ventilation you really want. All of the windows will operate like a dream and they’ll be simple and easy to open and close. Once you have windows that operate well, the fresh air can flow freely through your home whenever you’d like. If your old windows don’t open and close like they used to, or you’d like to increase your ventilation in more areas of your home, Thousand Oaks, CA replacement windows are a good option to consider. Replacement windows bring so many advantages with them including energy efficiency, better natural light, more safety, and yes, even ventilation. Contact Quality Windows & Doors at (805) 984-5895 for a free consultation on replacement windows and be sure to mention ventilation as something that is highly important to you. You can also stop by our showroom to see some examples of how windows operate and open at 1430 S Oxnard Blvd, Oxnard, CA 93030 for a free consultation. Open and close a few windows yourself and imagine how they would let the fresh air into your home. Our experts are here to help in any way they can, including giving you advice on which windows will give your home the ventilation you need and want. We can also come to your home, take a look at the specific situation, and fine tune our advice to meet your special situation. This entry was posted in Replacement Windows and tagged replacement windows, Thousand Oaks CA replacement windows, windows on August 27, 2018 by superowner. Your probably breathe more air in your home than any other location. When you think about what’s actually in the air in your house, you might want to hold your breath. Indoor air can have a lot of dust in it and even toxic chemicals from cleaners. When you close your house up to run the air, you are circulating the same air, which can lower the overall air quality in the home. It’s important to get fresh air throughout the house with Goleta, CA windows on a regular basis. Here are a few things you can do in order to improve the quality of the air you breathe. If you have a whole house fan…use it! Your exhaust fans operate to the outside of the home so if you have cooking smells or stale air, you can circulate it through the house and to the outside with ease by simply using your exhaust fan. Just crack a few windows, turn the fan on, and let the air flow. Another way to circulate the air is to turn on the ceiling fans to get things moving. You will feel cooler and use less air conditioning when the fans are on. Plus, the air is ventilating and circulating to keep things cleaner. 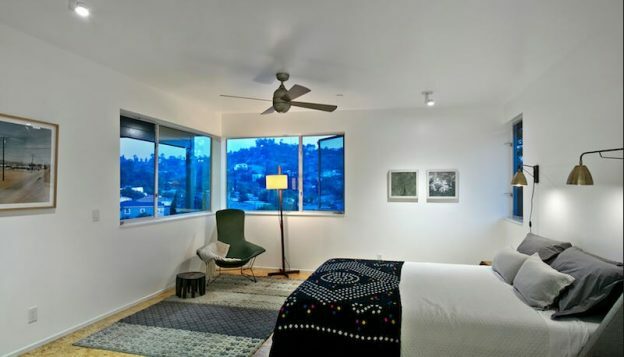 If you have a guest room you don’t use, you might close it off and forget about it. But that actually lets the air in the room get stale and that air will then be transferred to other areas of your Goleta, CA home. It’s more efficient and better for your air quality to keep the doors open to all rooms in your home. You wouldn’t think that changing the filters on your HVAC system would change the air in your home, but it’s a huge factor. The air in your home goes through the air conditioner and through the filter. If the filter is dirty, it’s harder for the unit to push the air through in the first place and then the air will be dirty anyway. Changing the filter cleans the air in your home. One of the biggest things you can do for your air quality is to simply open the windows to let fresh air in. That can be hard for you to do when it’s hot in Goleta, CA, but you really need to get fresh air in on occasion for your air quality. If your windows don’t open and close well, it might be time for new windows. Replacement windows can make your home look better, raise in value, maintain energy efficiency, and give you better ventilation. If you are interested in new , contact the professionals at Quality Windows by calling (805) 564-7600. We’re here to answer your questions and get you all the information you need to make informed decisions. You can also visit us at 534 N Milpas St, Santa Barbara, CA 93103 to tour different styles. This entry was posted in Blog and tagged Goleta CA windows, replacement windows, replacement windows in Goleta CA, windows on July 30, 2018 by superowner.